The cards will be aimed directly at the high-end market and will compete directly against Intel’s most powerful processors. AMD has stated that its 8-core Summit Ridge CPU outperforms Intel’s Broadwell-E Core i7-6900K, citing a multi-threaded Blender rendering performance comparison. 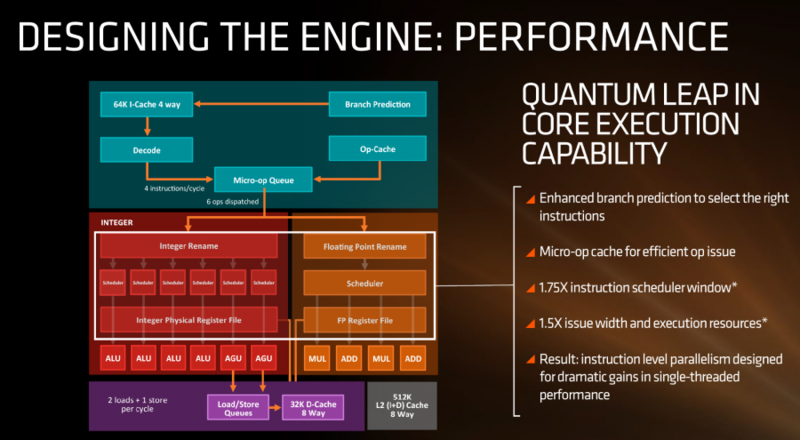 It’s built from the ground up with a focus on “performance, throughput and efficiency,” said AMD CTO Mark Papermaster. 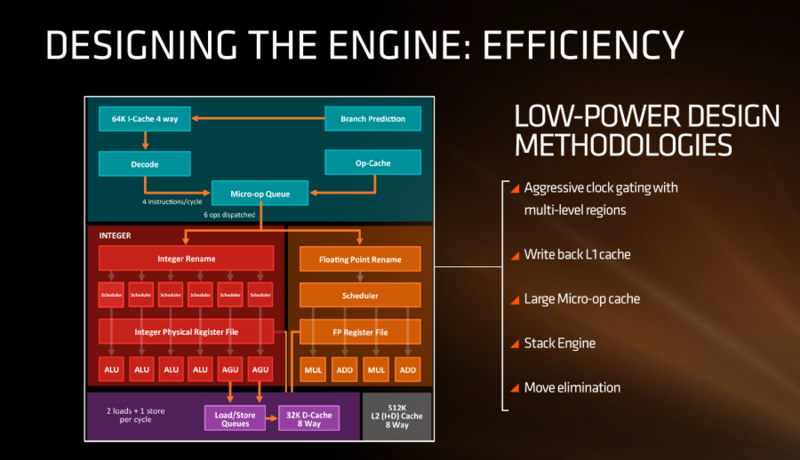 Using a 14nm FinFET manufacturing process, AMD’s engineers have increased the chip’s IPC (instructions per cycle) by 40% compared to their last-gen hardware, also increasing power efficiency. 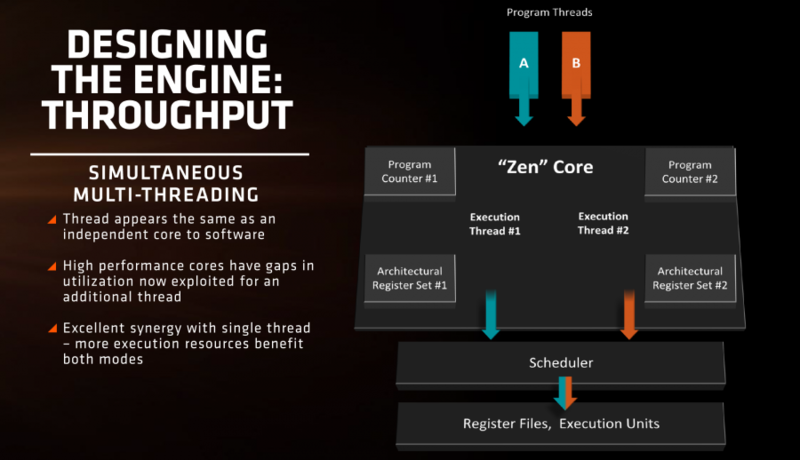 AMD has also finally implemented Simultaneous Multithreading (SMT), which lets Zen’s cores run multiple threads at the same time (basically, its own version of Intel’s HyperThreading). “We have to be faster, we have to be more agile, we have to be more creative, because we’re the smallest player,” Papermaster said. 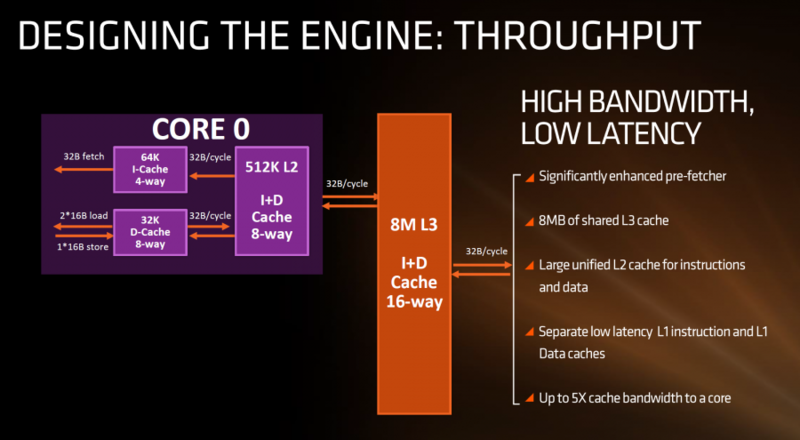 Digging a bit deeper into the technical details, AMD says it increased Zen’s instruction scheduler by 1.75x and execution resources by 1.5x, added an 8MB L3 cache, and also implemented a larger shared L2 cache. Altogether, Zen should push around five times the amount of bandwidth to its core than AMD’s previous Excavator design. 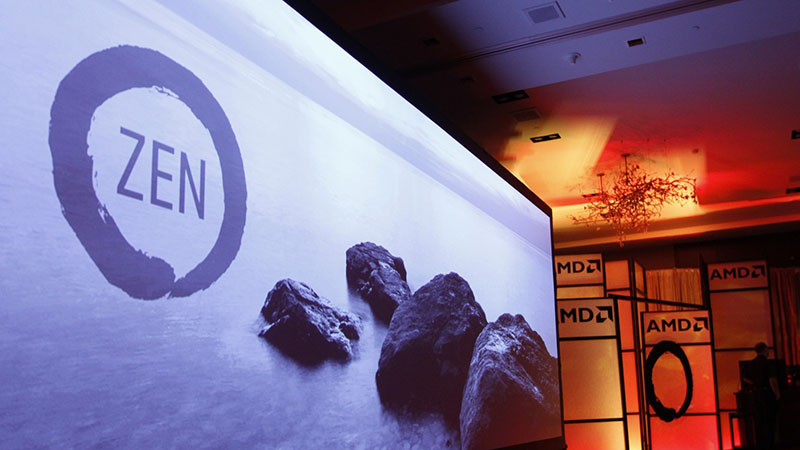 AMD’s new Zen CPUs will available early next year for desktop computers with Zen laptops coming later in 2017.